Cranberry Orange Homemade Granola Recipe – This homemade granola is super simple and delicious for breakfast or an easy snack and it’s perfect for a holiday brunch! Crunchy nuts, tart cranberries and sweet honey combine with toasted oats to make a healthy granola. Guys you’re going to love this one! Homemade Granola. It is super simple and perfect for this time of year. 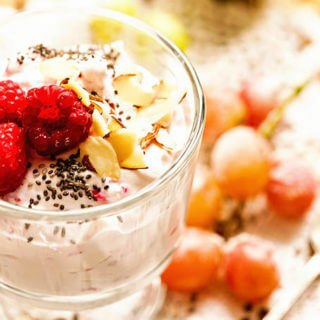 We’ve been enjoying it as a healthy snack, to punch up the flavor in a bowl of yogurt. Seriously, I’d never purchase it again! You’re going to ask yourself why you haven’t made it yourself sooner. 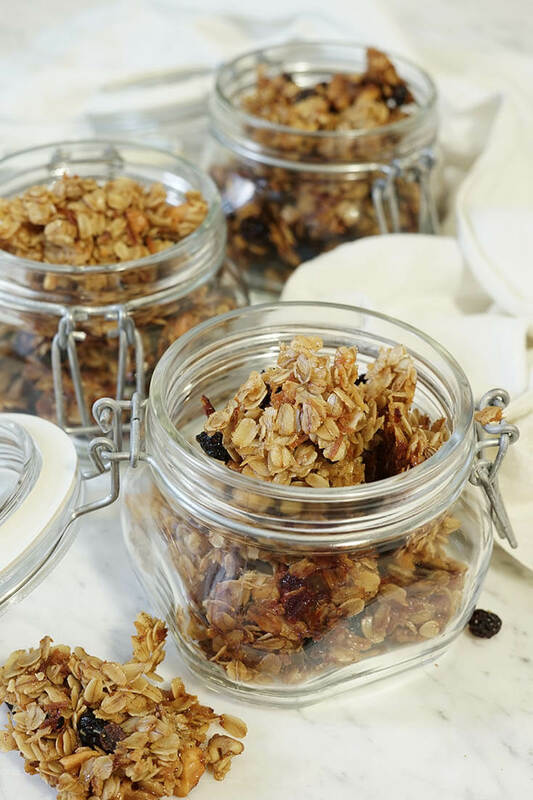 Store this healthy homemade granola in jars you can seal or in the freezer. No…. you say? You’ve never thought of making your own granola? You know I understand that, because I know you’re a busy person – I am too! 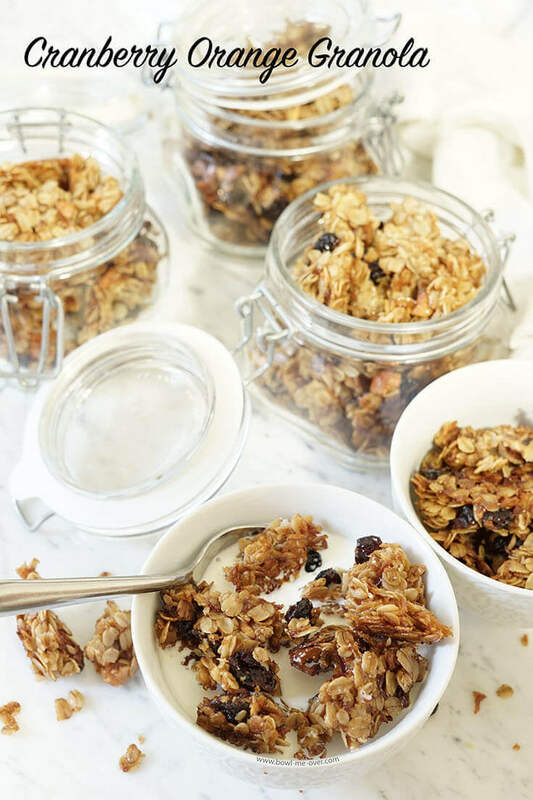 Making your own Granola is really easy and tastes 100 times better than what you buy in the grocery store! Have I convinced you yet? I hope so! Here are the step-by-step directions. 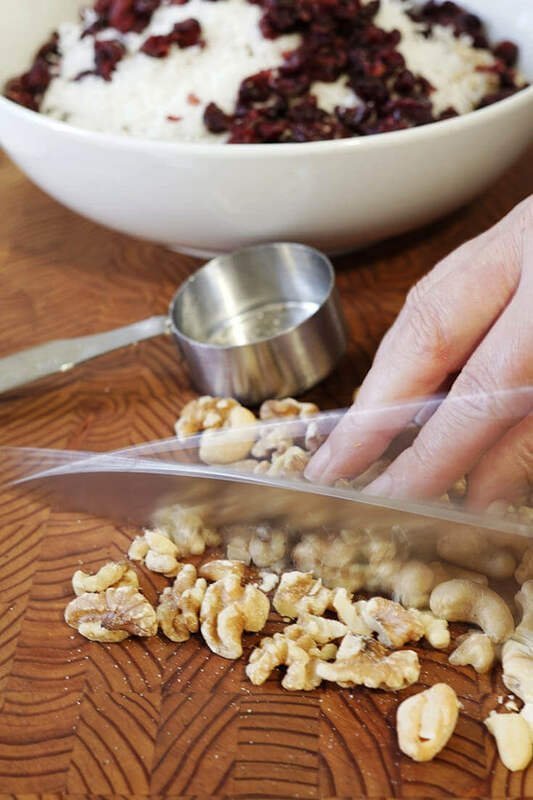 Just give the walnuts and cashews a quick chop. Drizzle with the sauce and toss to completely coat. 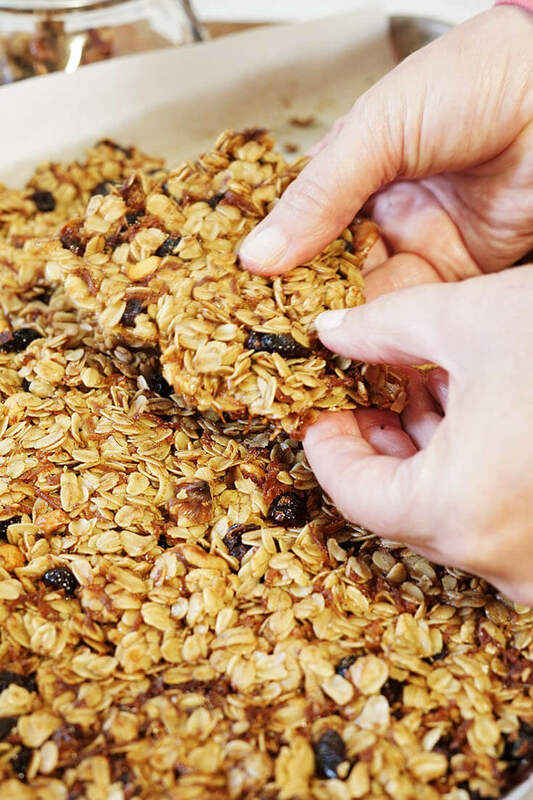 When the granola is toasted and golden brown, remove it from the oven. After it’s cooled break it into chunks. It’s that simple! Dan and I ate this for breakfast for several mornings. We also really enjoyed it as a grab and go snack. I had hoped to make this for Christmas gifts for family but my oven died (shortly before Christmas) ahh! That put a squelch on that great holiday gift idea…. and is obviously a story for another day…. So after that happened, I decided to save this recipe until after Christmas and share this and another healthy idea with you (next week) to keep you moving towards your resolutions and holiday goals. I know you’re going to love this! Check out these easy breakfast recipes! I really hope you give this recipe a try and if it’s a recipe you enjoy, please rate it five stars below! Homemade Granola is 100 times better than store bought and I promise you, you’ll never purchase store bought again! Homemade Granola Recipe – Crunchy nuts, tart cranberries and sweet honey combine with toasted oats to make a delicious and healthy granola. 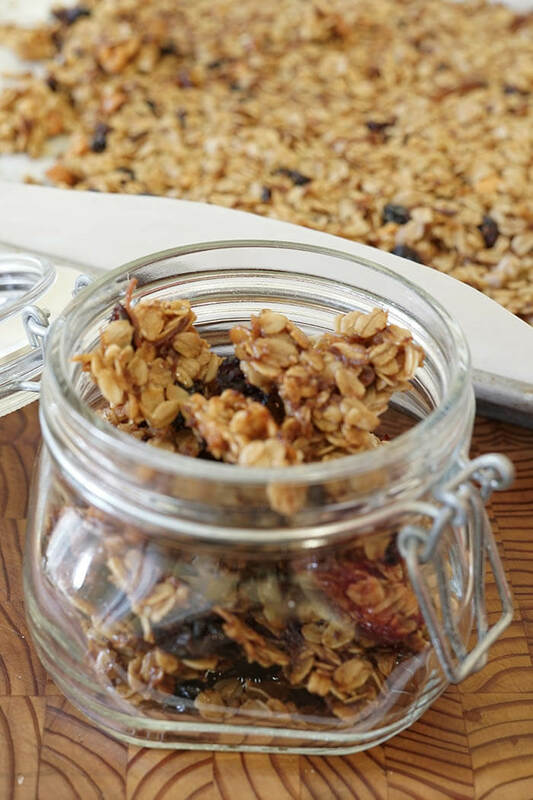 This homemade granola recipe is super simple and delicious for breakfast or an easy snack! Top off your favorite yogurt with this nutty, crunchy goodness and you'll be serving your family a meal you'll be super happy about and they will be super happy eating it! 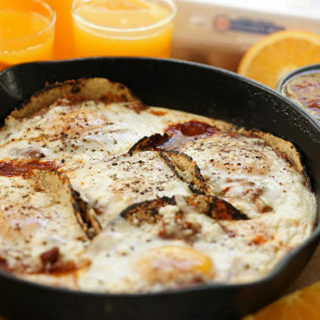 Looking for more delicious breakfast ideas? I got you covered! Here are three of my very favorites, I hope you enjoy them too! 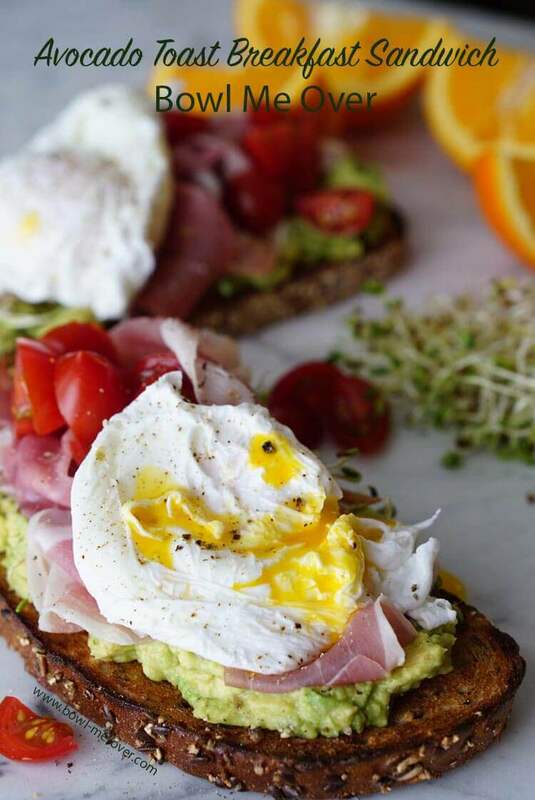 Avocado Toast is perfect for a quick 10 minute breakfast. Super healthy too! 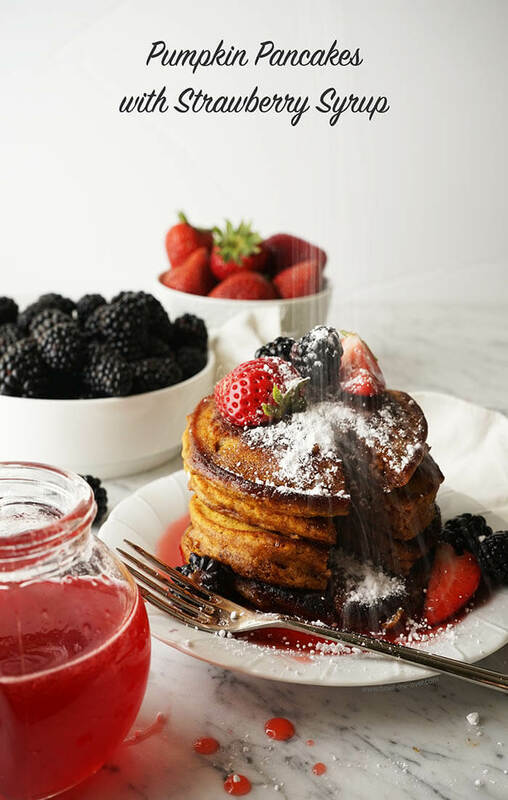 Pumpkin Pancakes with Strawberry Syrup is another crowd please breakfast! Acai bowls continue to be quite the rage. We first tried these in Hawaii when we were visiting the kids. 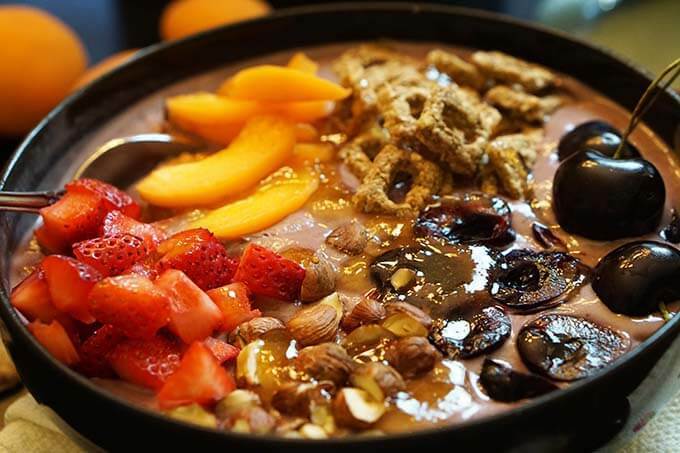 Acai is packed with antioxidants and just delicious! Mixed Berry Acai Bowl – easy to make and we’ve enjoyed this as breakfast, but also a delicious treat at the end of the day. The Granola looks so good. Will be making it very soon. Just sounds so yummie. 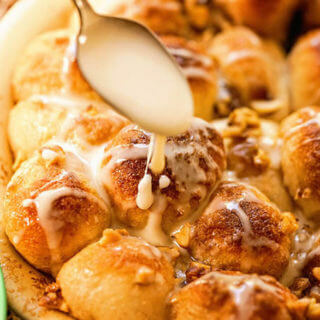 It’s is so delicious and when it’s baking the entire house smells delicious! I LOVE homemade granola…yours looks wonderful. Cinnamon is my favorite flavor! 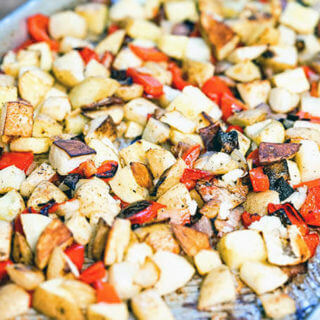 This sounds absolutely delicious over greek yogurt! Recipe saved! It’s perfect over yogurt, you’re going to love it Hanady! My husband eats granola with yogurt every day, so I think it’s time to change it up and try this cranberry orange granola flavor. I have all the ingredients except for the cashews, so may substitute for what I have on hand. Thanks for a great recipe! Perfect! Definitely sub with the ingredients on-hand. You’ll love the granola and it smells so good when it’s baking in the oven. I hope your hubby really enjoy it! This looks like the perfect addition to my morning yogurt!! I really need to give homemade granola a try! You absolutely need to make homemade granola Michaela! 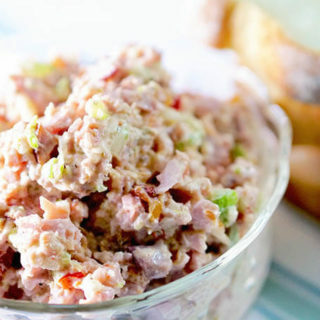 It’s so much better than store bought and super easy to make – enjoy! mmmm I like this!!! Nothing beats homemade! Gosh that looks delicious! Bit high in sugar for a regular breakfast dish, but would be great as a treat sprinkled over ice cream – YUM! I love homemade granola and this one particularly looks delicious with the cranberry orange combo! YUM! Thanks Natalie, I hope you love it as much as we do! I’ve never been very good at making granola. I always manage to burn the fruits. This looks delicious! I’ll be trying it soon. 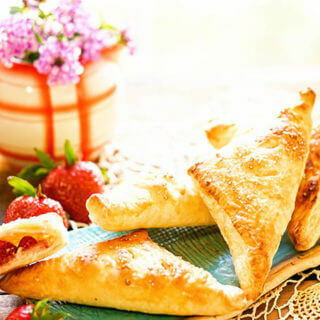 Enjoy, it’s one of our favorite breakfasts! Wow! Homemade granola is that simple?! I cant wait to make this one! Easy and delicious – it’s the perfect breakfast and a great snack! Awesome, enjoy Jennifer! I think you’ll really love it! Love that this makes big clusters of granola! The only way to make granola, in my opinion 🙂 So yummy! I know right? There’s something about those big clusters that just make it taste better! This sounds so up my alley! 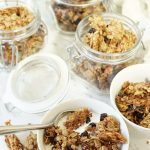 Granola is one of my favorite foods but I’ve never tried making it myself! 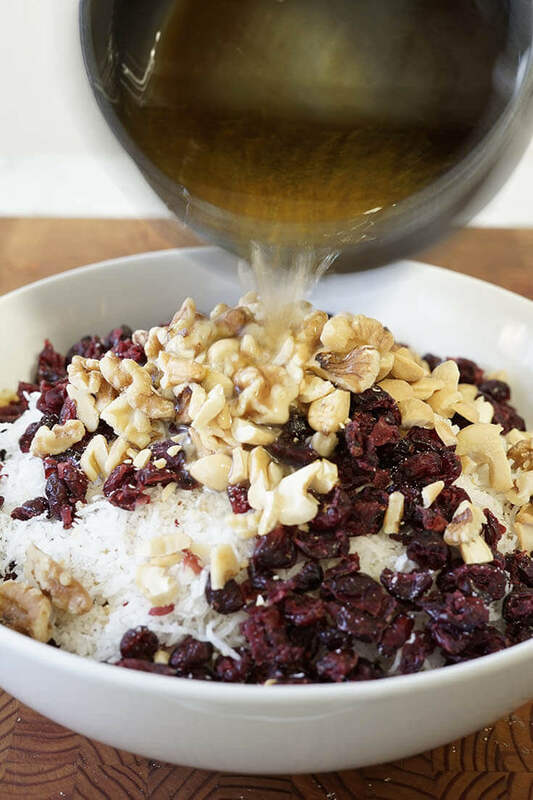 You should definitely make your own Madi – It’s soooo much better than store bought, with delicious healthy crunch!